12 Apps To Help You SUPER SIZE Your Wedding Planning! 2015 is an exciting time to get married! Well, we guess any time has been an exciting time when you’re the one getting married, but with the web playing more and more of a role in wedding planning these days, 2015 is shaping up to be another exciting year. As more and more companies begin to innovate and release apps and platforms geared specifically toward expediting the wedding planning process, it’s a good time for brides and grooms who could use an extra hand (or three) while planning their own event. 1. LiveLens – One of the toughest things about planning a wedding can sometimes be making your special day easy for family members with health difficulties and challenges to attend. Fear no more. 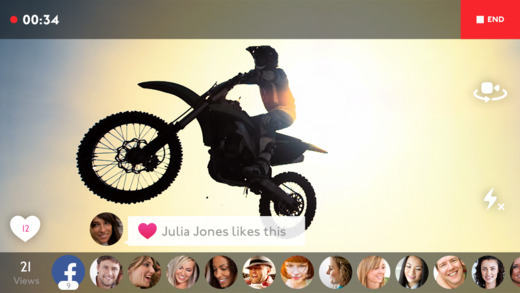 LiveLens offers the ability for any user to create and share a live video feed of your event, meaning that folks who can’t make it for any reason can still tune in live to watch you tie the knot. No longer any need to leave Grandma — who’s across the country — out of the happy occasion! 2. Postable – In order to make the Thank You card/invitation process a little more hassle-free, look no further than Postable. 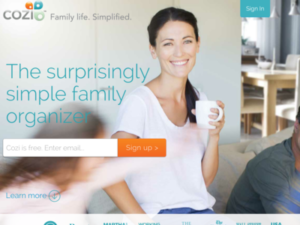 The app allows couples to send out a mass email via the app to everyone they need info from, sending them a link to a simple form for them to complete. Then, all of the info is collected and sorted in one easy-to-navigate spot, saving you a ton of phone calls and a ton of time getting the info you need. 3. 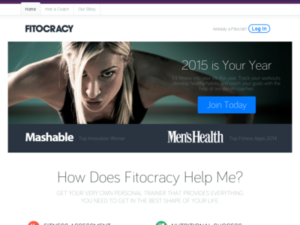 Fitocracy – You’re not the first bride (by a long shot) to wonder how you’ll be able to get that perfect wedding day look down, while singlehandedly managing caterers, DJs, venue planners, and grumpy guests at the same time. In steps Fitocracy, a mobile app designed specifically to help you track physical activities and meet goals for physical fitness before you head on down the aisle. There’s even a community of fellow Fitocracy users for support – you can even challenge others to “duels”. So why sweat about the sweating when you can make looking good in your perfect dress a game? 4. 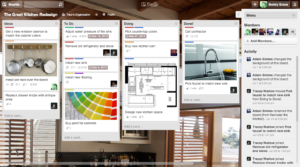 Evernote/Google Keep – Wedding planning can often seem like an ongoing series of list-making and list-checking. In the past, this meant a sacred yellow legal pad containing every phone number you needed, all your info, and even your seating chart. If someone spilt coffee on it, you were ruined! 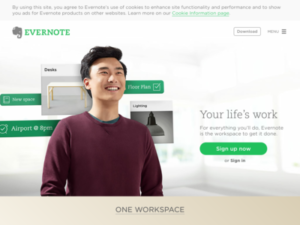 Nowadays, both Apple and Android users can avail themselves of apps like Evernote or Google Keep – simple, streamlined note-taking apps that can ensure your wedding checklists and info go with you everywhere. 5. 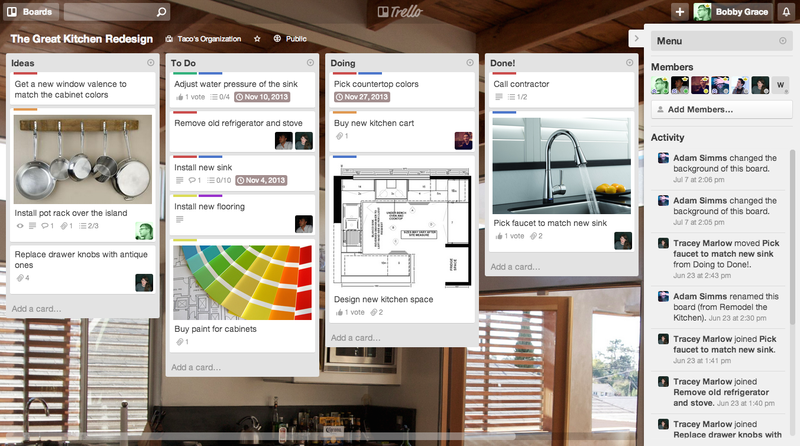 Trello – Speaking of lists, Trello is an amazing app to create and organize lists — and makes planning anything easier with sortable “cards” that can be organized into custom columns (i.e. To Do, In Progress, Complete, or whatever you’d like). 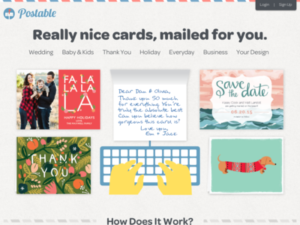 Within each card you can attach files, create sub-checklists, make comments, color-code and more. You can also assign cards to other users (i.e. hubby-to-be, mom, dad…). Also a great way to keep precisely organized notes. 6. 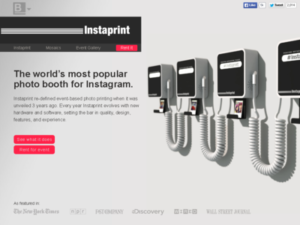 InstaPrint – Now that we’ve got all these spur-of-the-moment selfies and celebration shots, how about letting everyone take home some snapshots as they happen? InstaPrint offers just that, with rentable devices that allow your guests to print their photos as they’re being taken. Who needs to give out wedding trinkets when you can give every guest their own custom set of celebration photos, without having to mail a single envelope? 7. Mint – The popular budgeting app has long been a favorite for users looking to balance their budget, so what better way to manage your costs. Not only can you sort your expenses specifically, to make sure you don’t overdo it on the flowers and underdo it on the DJ for example, but you can use the app’s planning and notification features no matter how big or small your budget. The bride’s parents will be happy about this, we assure you. Tip: Assign all wedding expenses to a custom “Wedding” category to make tracking your expenses supremely easy. 8. Zola Registry – Combining the best aspects of Tinder (we mean the easy swiping interface, not the inappropriate or awkward photos) with everything you need in a digital wedding registry, Zola allows you to swipe between items from different vendors to create your registry on the go. 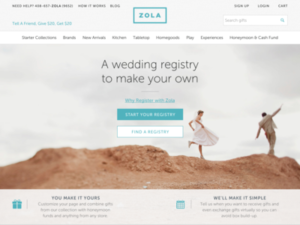 Zola allows you to scan item barcodes on the go to add as well, along with requests for honeymoon funds. Guests are also able to pool gifts together, which means you might get some sweet stuff when you get back from the honeymoon. 9. Cozi – Perfect for keeping appointments, Cozi allows you to mix the best of calendars and to-do lists to further get away from that dreaded yellow legal pad or marble notebook of the past. One of the best features of Cozi is the ability to pool and share to-do lists and editable calendars, making it easy to involve your close friends and family (or kick em out, who knows?) in the entire wedding planning process. 10. The Knot Wedding Dress Look Book – Alright, so this is one is decidedly for the brides out there. 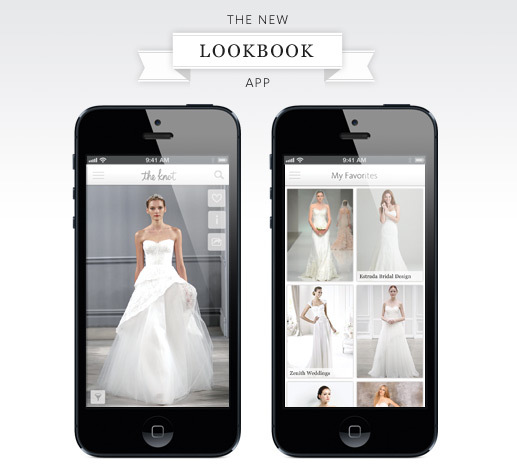 The Knot’s app allows brides to browse literally thousands of potential wedding gowns, with fully customizable options for picking the perfect fit and look for your special occasion. While we certainly think you may still want to pay that big visit to the store like everyone else, the Wedding Dress Look Book lets you do a little homework first, to get you even more excited. 12. Spotify – Want to give your wedding a little spin? Skip the DJ and let your guests call the next tune. With Spotify, the hugely popular streaming music service, you can ask your trusted minions to help you ‘crowdsource’ the ideal wedding playlist. Use Spotify’s “Collaborative Playlist” feature, and let your bestees take it from there. Tip: Pick tunes that will get your guests on their feet and dancing and vet your playlist with someone with some DJ’ing experience. 2. 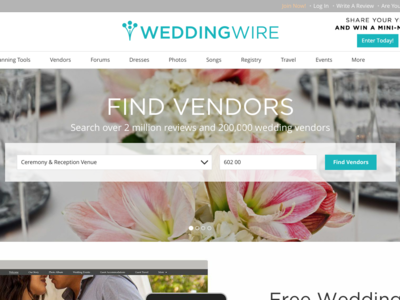 WeddingWire – One of the most prominent names in digital wedding planning, WeddingWire provides expectant couples with everything from handy checklists to vendor browsing and contact info, and dozens of other wedding-related offerings in between. While the app does have some limits (and does leave out some key aspects of the process), you can get a good jump on your wedding planning by utilizing WeddingWire’s many bonus features.